When was the last time you used a travel agent to book a vacation? That’s the question I posed last week to a roomful of marketers at the MarTech conference in San Francisco. To me, travel is the perfect anecdote for how technology has changed the way we, as consumers, find out about and purchase products. And, for how businesses have evolved the way they market and sell their services. The focus of my talk was how I see an even bigger change coming with the emergence of intelligent digital agents. There will be a future virtual world where bots and AI will rule, and there are no humans. Personal bots and business bots will coexist in this digital ether that’s comprised only of data. These agents are not like the chatbots and Alexa Skills we engage with today. These future bots will be empowered to make decisions on behalf of the people and businesses they represent. They will make these decisions based on the data available to them and their bot-to-bot interactions. Ultimately, they will make purchase decisions. Money will be exchanged. Without human intervention. When I introduced this idea in a recent post about the bot-to-bot universe, I proclaimed that it will change how we do business. And it will change the very definition of marketing. So exactly what does this virtual world look like for businesses and marketers? Let’s start with a use case we all understand: finding and booking a hotel room. Before the Internet took hold, many of us booked our vacations using travel agents. That’s what my family did when I was a kid. And in this future bot-to-bot world, we might again be using an agent, but not a human one. But before we look to the future, let’s take a step back and look at the history of hotel marketing. Before the Internet, people used to find out about hotels through printed listings. These hotel listings go all the way back to the 1400s in Europe, and to the 1700s and the Industrial Revolution in the U.S. In the 1400s, England and France passed legislation that required hotels and inns to keep guest registries. 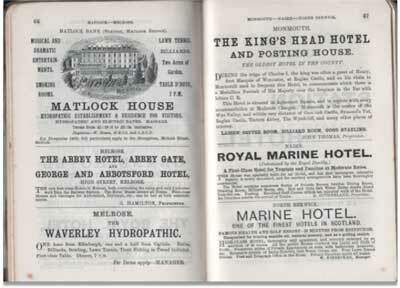 More than 600 inns were registered in England along coach routes and highways. From this, the first printed guidebooks were created, marking the first time aggregated hotel listings were available to consumers. In 1841, Thomas Cook, a Baptist preacher, struck a deal with the Midland Railway to organize a trip for 540 members of his temperance society. The first “packaged” vacation of its kind, the trip included a train ticket plus lunch. Cook became the first known “travel agent,” a trusted resource that could make recommendations and book travel for individuals and groups. In the late 1970s, technology led to a dramatic change to the travel industry, as online reservation terminals were first installed in travel agencies across the US. By the late 1980s, CompuServe launched EAASY Sabre, putting this terminal-like experience onto home computers, allowing travelers to book their own flights and hotels. In 1996, self-service took another step forward when Expedia (a division within Microsoft) launched a website that aggregated flights, hotels and car rentals — making it easy for consumers to book entire vacation packages. Later that year, Travelocity, owned by Sabre, launched its own site to help the do-it-yourself traveler. 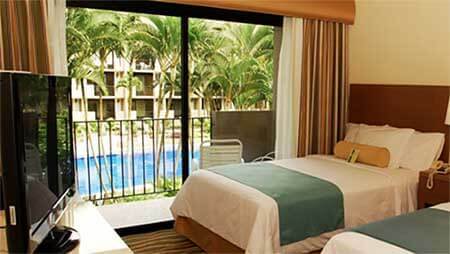 Hotel brands soon followed and developed their own web presence. In the very early 2000s, Hotels.com and TripAdvisor launched. In 2008, Apple launched the App Store for the iPhone, and hotel brands quickly jumped on board. Since then, apps have become essential to the relationship between brand and consumer – extending the product experience and offering new kinds of capabilities. Apps added new degrees of context that the web couldn’t offer, as incentives like hotel membership programs became much more tailored to the individual user. And for hotels, the app became more than just a vehicle for marketing and promotional campaigns — it became a part of the overall hotel product experience. A phone app could provide key access to rooms, and serve as a portal for in-room services like entertainment and food delivery. In 2016 at its F8 conference, Facebook added chatbots to Facebook Messenger. Brands and businesses can now reach more than 1.2 billion active monthly users on Facebook Messenger. Since, Amazon’s Alexa/Echo and Google Home have given brands the ability to reach consumers in the home with voice applications. These conversational apps (chatbots and voice assistants) serve as “brand concierges,” helping users get information they need instantly and directing them to other mediums (e.g. websites, mobile apps). Hotel brands and travel aggregators can use these early chatbots to answer basic questions and direct consumers to travel deals — purchases that typically take place on mobile websites or in apps. By 2020, we expect personal bots will be the norm. Instead of humans engaging with computers, mobile apps, or messaging chatbots, a bot that represents our personal interests will become our new interface to the digital universe. This personal agent will, among many other uses, be our personal travel agent. Personal agents will research the billions of data points available in the digital universe and negotiate deals with the bots representing brands and businesses. Thus, we enter the era of a new type of B2B marketing and commerce: Bot to bot. As marketing technology has advanced, and the mediums where consumers become aware of products/services have changed, the way we as marketers have influenced consumers has also changed. For the hotel industry, those first travel-agent terminals in the 1970s represented the first time consumers had an efficient way to make choices based on multiple data points. The amount of information has continually increased with the advent of the web, services that aggregated multiple web data points, mobile apps, and now bots. With this evolution, mass information becomes more readily available and has more of an influence on purchase. Emotional marketing and advertising becomes less influential in the buying process. But with the ever increasing amount of information available, a new consumer problem starts to emerge. For humans, virtually unlimited information is a double-edged sword. Our capacity to process that information is limited by our finite time and brainpower. Turns out, the average consumer reads 6 to 12 reviews before booking a hotel. Of course, that stat doesn’t account for those who were unable to make a decision at all. But for the times when we do complete a transaction, we’re still making a judgment based on these limited data points – and some emotion. Whether it was that hotel brand where you stayed on your wedding night, or an ad you saw on TV that influenced your perception about a hotel experience, you make a decision based partially on emotion. But a bot has no such limitations or biases. In the time you spend to read a single TripAdvisor review, a bot can synthesize millions of data points, including guest reviews from any sites, room facts, social media reputation, price history and trends. And a bot doesn’t just consume that data, it processes and understands it. This is how we see a hotel room. We humans, of course, might be swayed by a great image of a room with a pool view. We might be emotionally influenced because an image like this reminds us of a family vacation we took years ago. 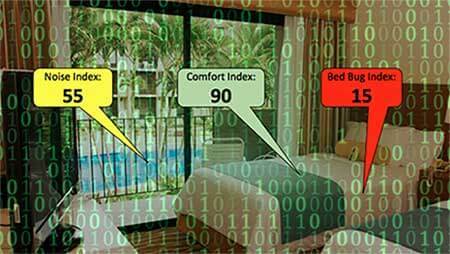 A bot is going to scan this view for all key data, like ratings for noise, the bed’s comfort, and of course, bed bugs. It’s a purely logical, data-driven analysis, void of emotion. 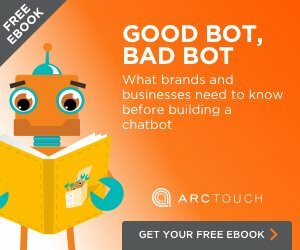 What does marketing look like in a bot-to-bot world? So, in a logic-driven world where data rules, where personal bots communicate with business bots, how do businesses win? Structured data has emerged as a primary driver of website discoverability and SEO (supplanting even traditional keyword marketing in importance). In the bot-to-bot world, having a sound taxonomy and data structure for digital content will be even more crucial. Bots love data, and if data is not structured correctly, a bot simply won’t understand it. As big data has advanced, dynamic pricing has become a staple in some industries, including travel, events and more. In the logic-driven world of bot-to-bot marketing, a business bot’s ability to understand a personal bot’s price sensitivities – and dynamically offer a better price or value bundle — might make the difference between a sale and a fail. One of the most important data points for a personal bot will be direct input from its human, based on past experiences. And one of the most important ways brands can leverage this data point – and ensure repeat business – will be loyalty programs. According to a recent study from the Center for Hospitality Research at Cornell University, once a guest signs up to a hotel’s loyalty program, the frequency of stays booked by a guest at that hotel rises on average by 49 percent. Smart loyalty programs that offer discounts and other incentives for repeat business can have a big influence on personal bots. In the bot-to-bot world, proactive reputation management will be increasingly critical for brands and businesses. Businesses will need to monitor social media platforms to ensure brand perception remains positive. Social media management, if not already on staff, should be. Future marketers will need to be skilled in appropriately responding to negative reviews on social sites, AND innovative in finding new ways to empower brand advocates (and their bots) to share information about positive experiences. So, hopefully I’ve made the point that a bot’s view of the world is data-driven, and as brands and businesses think about successful marketing in the future, data trumps emotion. Except that emotion still matters very much when it comes to one thing. One very large thing. The product experience. If you gave your wedding night hotel a review — good or bad — it was probably influenced heavily by the incredible emotion you experienced on that day. In the bot-to-bot world, the absolutely most important thing that marketers and businesses can focus on is delivering a great product experience. A great and emotion-filled human experience will lead to great reviews that increase the likelihood that personal bots will recommend or purchase those products and services. Your personal bot will know what quality looks like. Even if it doesn’t understand emotion like you do.